Businesses are still looking for ways to unleash the full benefits of data science and analytics. This podcast looks at ways some companies are finding success. Data science and analytics don't have to be perfect to pay off for a business, and a focus on practical analytics can lead to major gains for enterprises. Data science is at a bit of a crossroads. People have talked about it plenty since at least 2011. But for all the promise it's held, many businesses are still looking for ways to make it pay off. Most larger enterprises are fairly far down the road to data science value, but smaller businesses that are still new to advanced analytics continue to look for ways to get the most out of their investment in data science, which is often substantial. As part of the emphasis on practicality, we're also starting to see a growing role for data engineers. 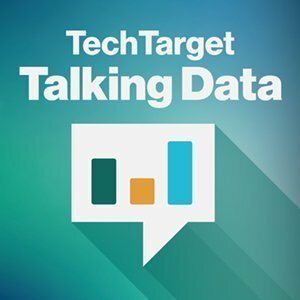 In the early days, data scientists were typically responsible for acquiring their own data, but as enterprises look to unleash their data scientists and get the most bang for their buck, they're increasingly hiring data engineers to handle the work of building data pipelines. It's all a part of systematizing data science. Listen to the podcast to hear more about how these trends are playing out in enterprises large and small, and where they're likely to head in the future. How is your enterprise working to get more value from data science and analytics?